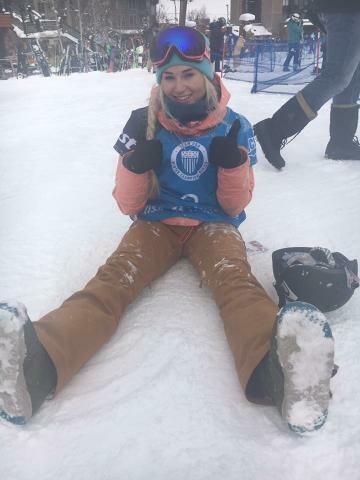 Katie Ormerod secured a 5th place finish in the Copper Mountain Snowboard Big Air World Cup, despite having to pull out of the final due to a minor injury. After qualifying in 2nd place, she was one of the favourites for a podium, but despite not competing in the final, she still secured 5th. In qualification, unfortunately Rowan Coultas, Billy Morgan, Jamie Nicholls and Aimee Fuller all missed out on going through to the finals against two world-class fields. GB Park and Pipe Halfpipe skier Madi Rowlands just missed out on the finals of the Copper Mountain Ski Halfpipe World Cup, but secured a very respectable 11th place overall. Rowan Cheshire finished in 29th place and for the men, Murray Buchan finished 23rd overall, and Pete Speight in 33rd position. Andrew Musgrave put in another great performance at the Cross Country World Cup in La Clusaz, France on Saturday. He finished in 16th place in the 15km Freestyle Mass Start against a field of 77 athletes. In tough conditions with a narrow track due to sparse snow, Musgrave did well to secure another top 20 finish. “I was glad to be able to land such a complex jump at the first World Cup. It was fast and high but definitely room for improvement in form and landing”. In Sunday’s competition Wallace finished in 28th place in the second World Cup in Beida Lake. After finishing 20th in qualification in Val Thorens and 24th in Arosa, British Ski Cross racer Emily Sarsfield made up a few places in Montafon, Austria, finishing in 18th place and missing out on qualification for the finals by just two places. Emily is now in Innichen, Italy for the next World Cup and the final leg of the Ski Cross-Alps Tour. Qualification begins tomorrow. For the British Snowboard Cross team, Zoe Gillings-Brier missed out on qualification for the finals of the Montafon Snowboard Cross World Cup, finishing in 25th place in her World Cup return. Teammate Maisie Potter finished in 30th in her World Cup debut. Alex Tilley put in a great performance in the Slalom at the Andalo Europa Cup in Italy on Friday, finishing in 6th place. In the GS the day before, both Tilley and Delancey British Alpine Ski team-mate Honor Clissold DNF in run one. Tilley will follow this with her next World Cup in Courchevel, France, tomorrow for the Giant Slalom, whilst Dave Ryding is next in action in Madonna di Campiglio, Italy, in the Slalom World Cup on Thursday.